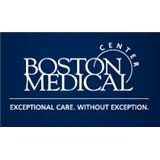 BMC Neponset Valley Medical Practice (Norwood) - Book Appointment Online! She was very friendly and listened well, and I thought it was nice that she got a second opinion from another doctor there before making a diagnosis (I often feel like doctors aren't thorough enough and just throw random medications at people's problems). She was great, and everyone there was very friendly. I am glad to have finally found a decent doctors office.